I’ve dabbled in making add-ons (mostly custom spell announcements based off SaySapped) for my personal use. Dealing with WowInterface and Curseforge is a bit of a hassle and I’m lazy, so here they are. Use them as you like, no warranties express or implied, if they blow up your Warcraft installation it’s not my fault. Good intro to LUA if you’re into that sort of thing. 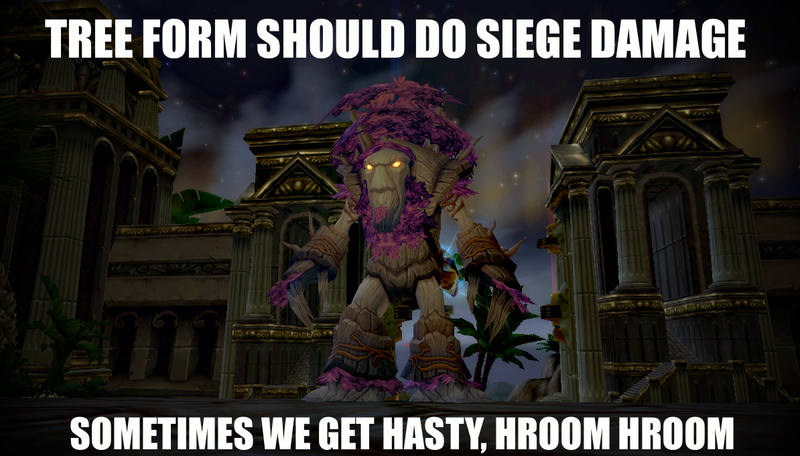 HroomHroom – Heroism announcer. Says “Hroom hroom! Time to get hasty!” if a haste buff (heroism/bloodlust, ancient hysteria, time warp) affects your character. GronkIT – My general buff/debuff addon. Currently used for Sapped, Burning Rush, Rogue poisons, haste buff. You’ll probably want to modify this one. herolust – Heroism announcer. Yells “Lok’tar Ogar! For the Horde!” on Horde toons and “Glory to the Alliance!” on Alliance toons when a haste buff is used. peppers – Heroism announcer. Says “Yes, yes, yes! No, no, no no no! Yes! No! PEPPERS!” just like in Stormstout Brewery. YOUSAEEEEELO – Heroism announcer. Says “YOUSAEEEEELO!” when a haste thing is used. CrunkJuice – Lil Jon-themed Warrior Shout announcer, made for some good folks on Tumblr. Yells “WHAT! ?” on Commanding Shout and “YEEAAAAHH!” on Battle Shout. Note: these shouts get used a LOT in battlegrounds, and if you’re not a warrior you’ll still pick up the buff. NotToday – Shroud of Purgatory announcer. Says “What do we say to death? 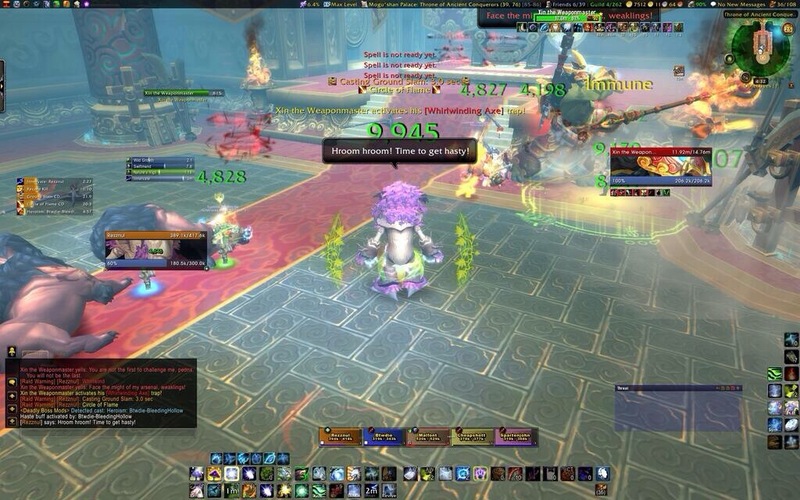 NOT TODAY!” when the DK talent comes active. All of these are drag-and-install addons, no configuration through the UI. If you want them to say something different you’ll need to modify the LUA directly.